Vietnam's real estate market is likely to experience high prices and instability despite a significant increase in supply, according to experts. From now until the end of this year, the real estate market will attract more investors, not only in big cities like Ho Chi Minh City, Hanoi and Da Nang, but also in other areas, according to a report compiled by an expert group of the Central Steering Committee on Real Estate Market and Housing Policy. 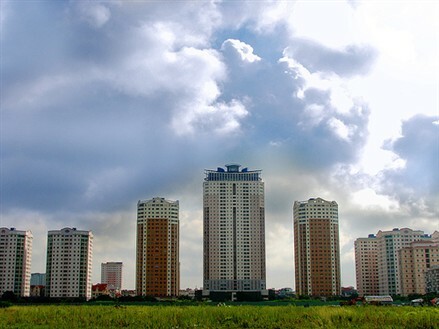 "The Vietnamese real estate market continues to lure more foreign investors thanks to the global economic recovery," said Deputy Minister of Construction, Nguyen Tran Nam, who heads the group. He pointed out that the market would get more capital when local enterprises started to build cheap apartments for low-income customers. "Thanks to plentiful housing supply, customers will have more choices," he said. 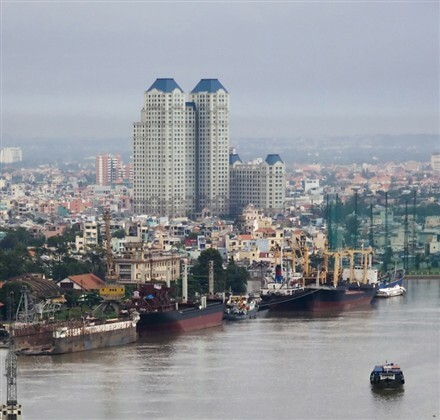 The expert group also noted that neighbouring localities of Hanoi and HCM City, such as Vinh Phuc, Hung Yen, Dong Nai and Binh Duong would also become more attractive to investors because of the new market, low prices, good master plans, and many infrastructure and transportation systems being implemented. "The most salient point is that social housing and houses for low-income people programmes are being implemented strongly. The supply would bring about significant changes in the real estate market," Nam said. However, despite the increase in housing supply, the group also warned that prices would remain high and the market would suffer from instability. "Current high real estate prices have greatly impacted the payment capacity of buyers. The extremely high price of housing reflects market instability," Nam said. The limited access and availability of information was one reason residents were buying real estate at any price, he added. The report remarked on the very high proportion of income being spent by Vietnamese citizens on housing compared to the rest of the world. Globally, the risk level in real estate investment is gauged from the proportion of monthly income spent on housing. For many countries in the world, this ratio stands at round 33 per cent for the middle class, which means a household pays one third of its income for housing. In Vietnam, however, the figure stands at 80 per cent. Interest rates on housing loans also reflect development of the real estate market. At present, this is high at up to 18 per cent per year. "The most worrying thing is the large volume of credit flowing into the real estate market, especially for high end apartments. It implies a new bubble situation," Nam warned. The Construction Ministry has estimated total investment in a high-rise apartment (20-25 floors) in Hanoi using market prices of late 2009, including reasonable profit, at around VND16.7-17.5 million (US$800-900) per square metre. However, the price for such apartments in the market is almost double this figure.